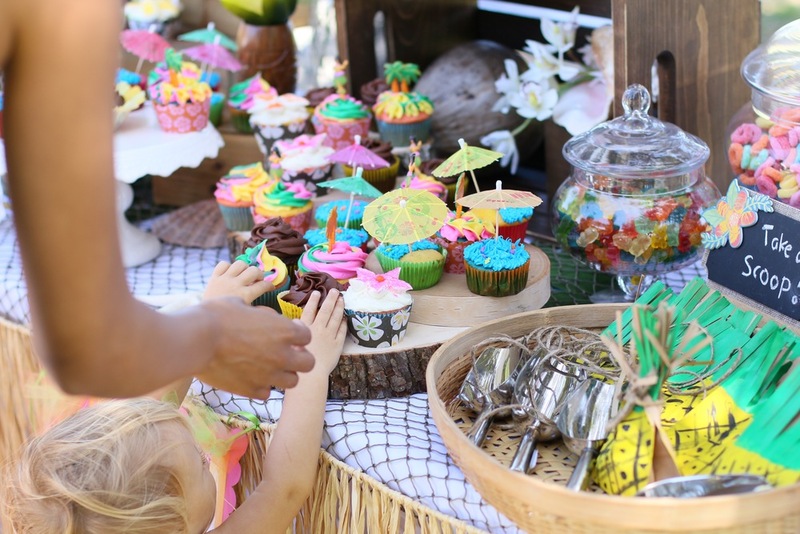 A perfectly Hawaiian dessert station setup, with wooden boxes, crates, cake platters, tropical faux flowers, tiki men, drums, coconuts, and other beach decor. 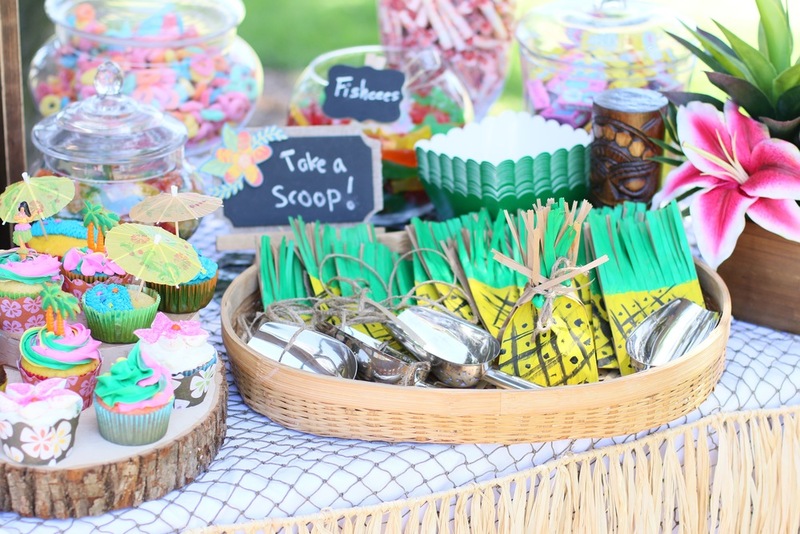 The dessert table also comes with linens, palm leaves, fishing net, and a grass table skirt! 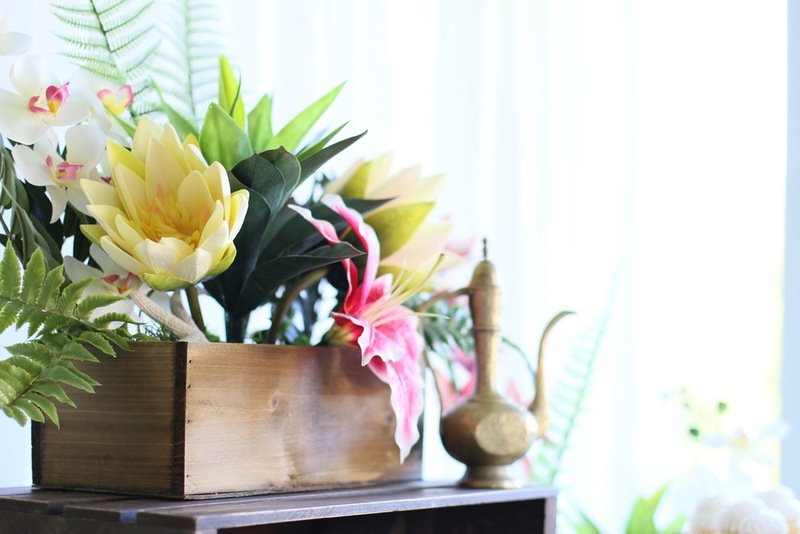 Centerpieces for each dining table. 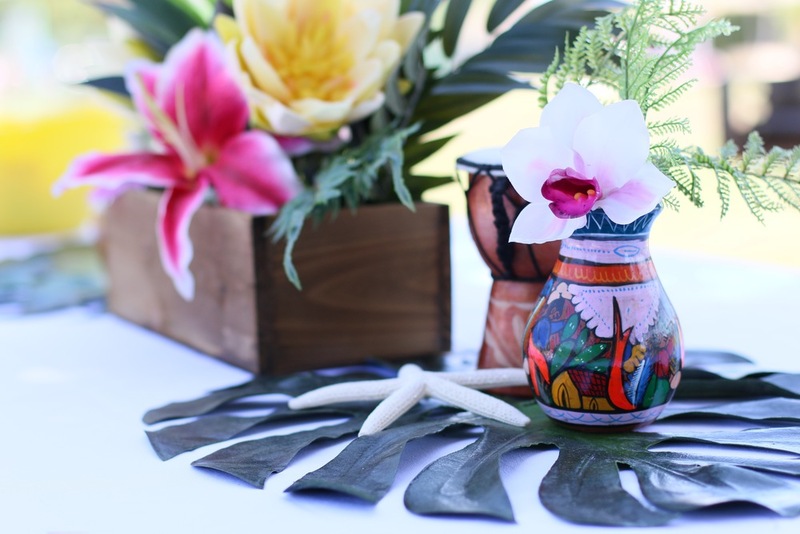 Includes large palm leaves, a beautiful tropical flower arrangement, Hawaiian decor including tiki men, drums, colorful vases, seashells, and carved wooden vessels. 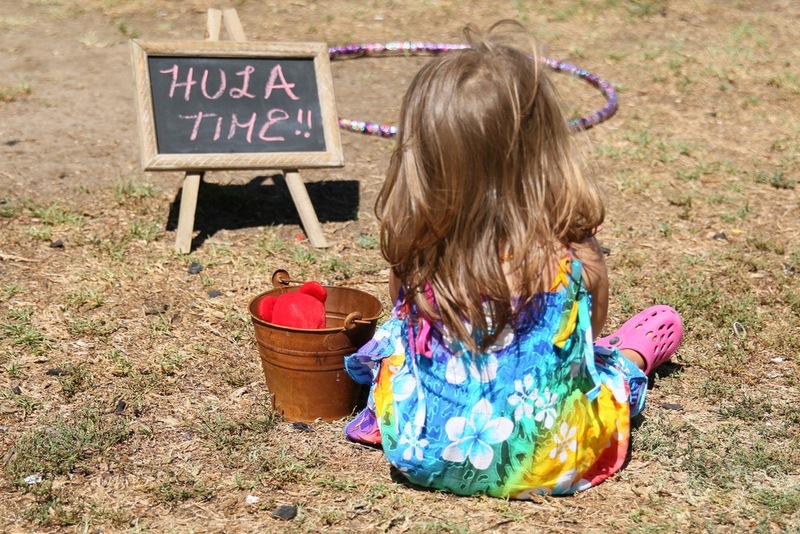 Hula hoops, a bean bag toss, and chalkboard signage for Hula games! 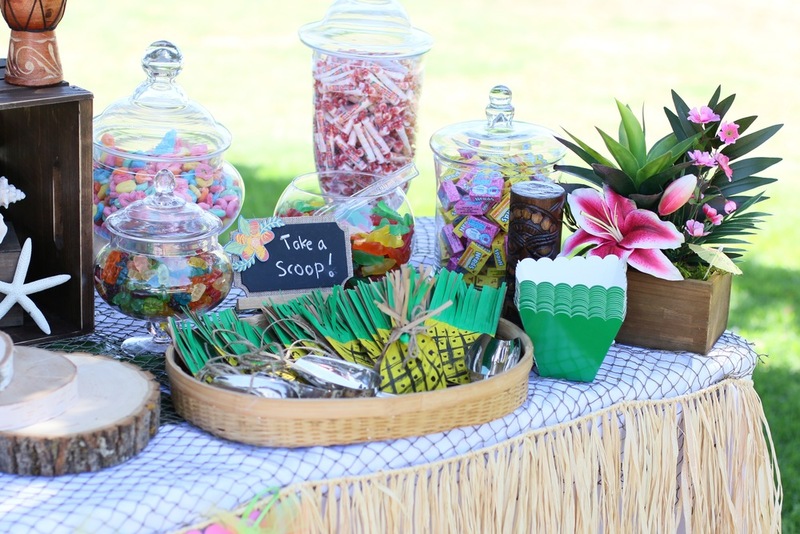 Assorted Hawaiian decor for food or welcome tables. 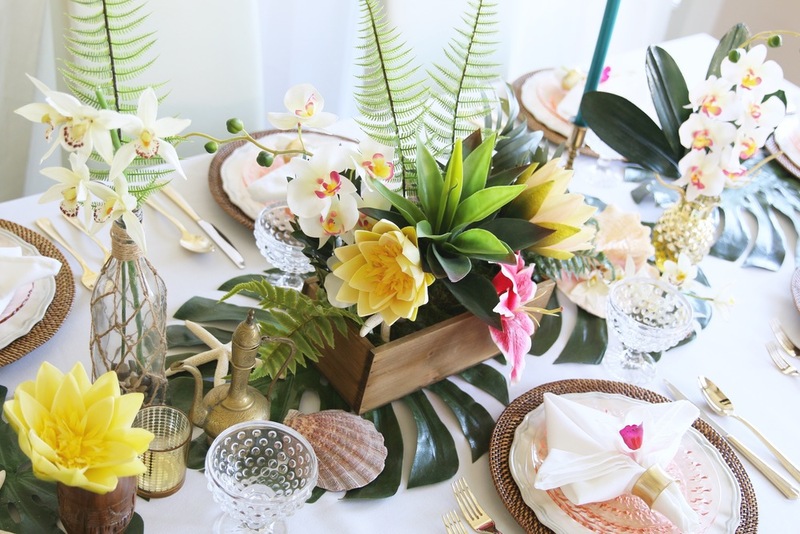 Includes colorful, tropical faux flowers, carved wood accents, glass vases, fishing net, seashells, and dried coconuts. 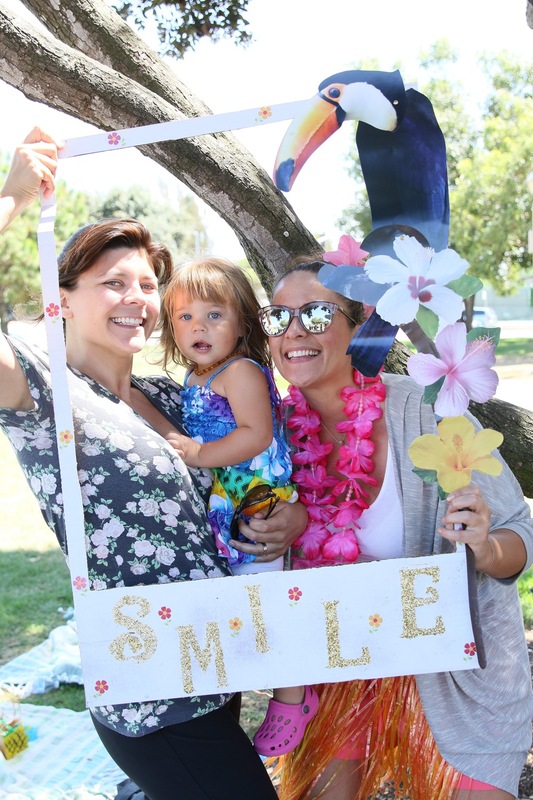 A bean bag toss game with Beanie Babies! 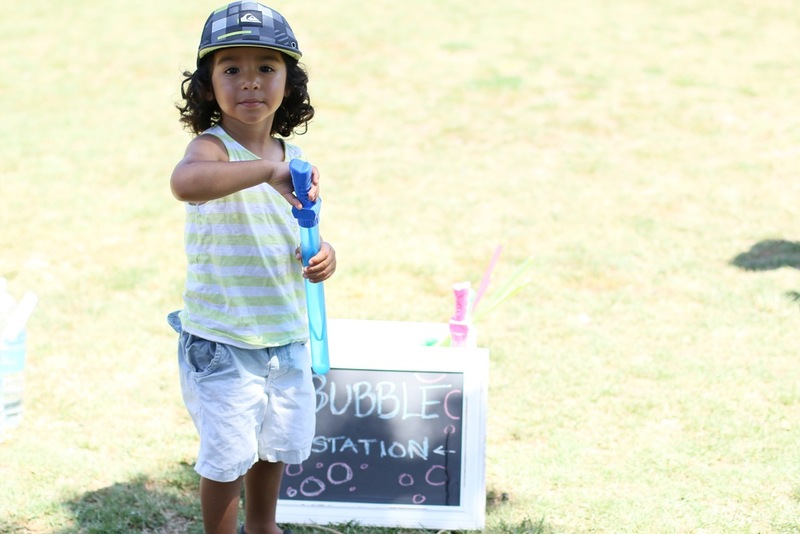 Assorted chalkboards with chalk to assist with signage for guests. 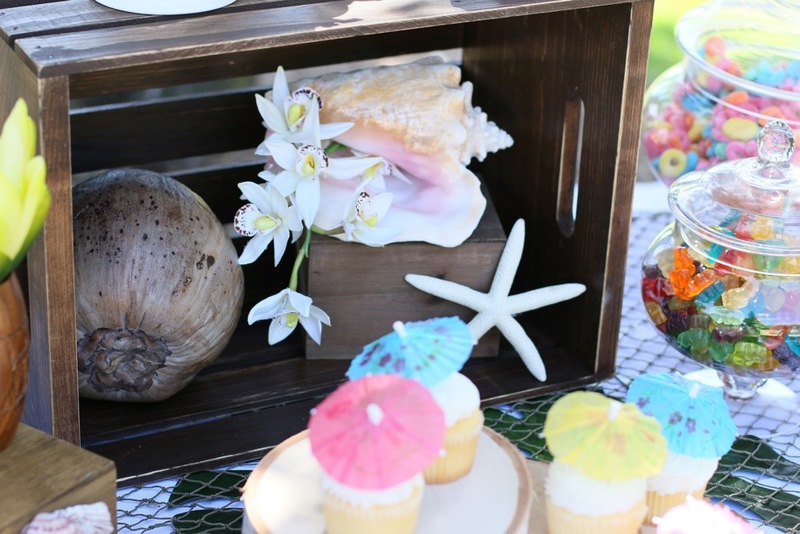 Hawaiian themed props for a Luau photo station!